An Indispensable Guide for Making Knives! 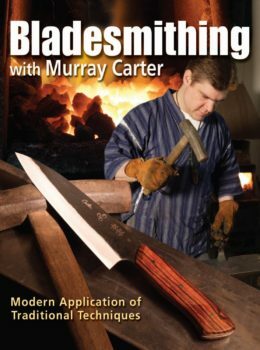 Nine of the world’s most skilled bladesmiths have brought together the expertise gained from decades of perfecting the craft into this book–all to give you the best resource available on how to create edged masterpieces of your own. Get the inside edge on knifemaking from the top names in the field with BLADE’S Guide to Making Knives, 3rd Edition. This indispensable and updated guide gives step-by-step instruction on making some of the most popular knives around. You’ll learn to create your perfect blade, whether it is a folding knife, dagger, bowie or anything in between. And the reference’s vivid illustrations make certain expert and novice knife craftsmen get the point of every tip and technique presented. Authored by an all-star cast of knifemakers and knife experts, with BLADE’S Guide to Making Knives, 3rd Edition you’ll be certain that you’re learning the trade from the best. You’ll learn forging blade steel from Don Fogg, wax casting from Kevin Hoffman, knife designing from Ryan Johnson and many other vital techniques from top experts in the field. Don’t wait! 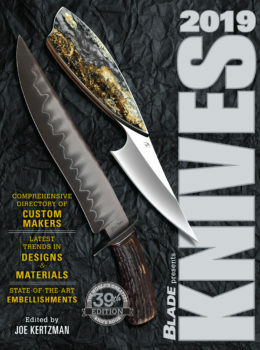 Take your knifemaking skills to the next level with BLADE’S Guide to Making Knives, 3rd Edition. Joe Kertzman has authored 13 editions of the Knives annual book, as well as Art of the Knife, earlier editions of Blade’s Guide to Making Knives, and four editions of Sporting Knives. In addition, Joe was the Managing Editor of BLADE Magazine and provides regular editorial and blog posts for www.blademag.com.